Gov. 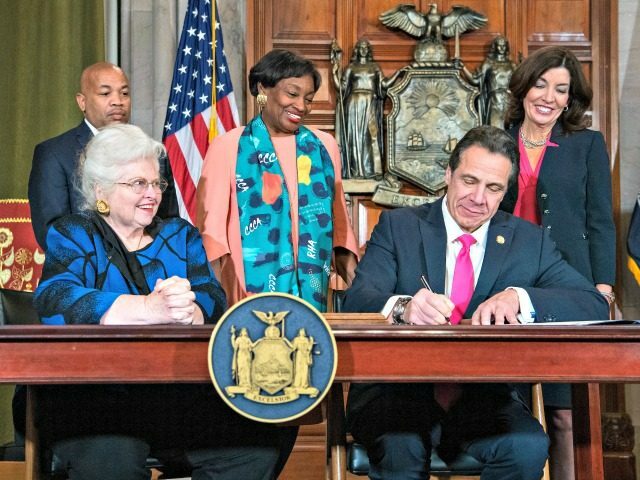 Andrew Cuomo (D-NY) directed authorities to use pink lighting to laud New York’s new abortion law. Breitbart News also highlighted the Reproductive Health Act’s ending of criminal penalties for self-abortion and harming or killing — with specific mention of “homicide” — unborn children.